Are you worried because your existing audience is not fully engaged with your blog and you see poor conversions? 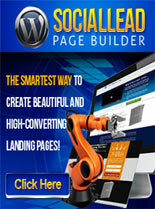 Explosive, Brand New WordPress Plugin Allows You To Quickly And Easily Create high converting landing pages and This Means…MORE Engagement From Your Existing Traffic and MORE Profits for You! Different exciting options to create different types of content really easily -Video Promo,Images, Articles, Gift/Bonus and product. With these 5 different strategies there won’t be any limits! Social sharing option contains the like and dislike feature – By letting your visitors choose what they like or dislike, you’re engaging them, thus increasing the chance of more sales! You can exploit the power of newsletters or surveys – This will allow you to communicate your ideas with your audience, or on the other hand, if you want to engage them MORE with your blogs, you can use entertaining surveys to gain attention. Precise, in-depth analytics that will keep you informed all the time about what’s going on in your blog – At a glance, you can easily track clicks, views and your conversion rate as well (the most important stuff!) all in a convenient way, from a single panel! There’s no limit to customization – If you’re the kind of individual that loves to do things on your own, then Social Lead Page Builder offers you a high-grade of customization: change background, add images, change font, colors…the sky is the limit. SEO options – Let’s be serious…SEO is extremely important.That’s why this wonderful plugin allows you SEO options, to increase your organic traffic even MORE.